Back in Feburary 2017 NetEnt announced on their website that they were preparing for the launch of Netent EmojiPlanet Slot in Q3 to coincide with the release of the animated film, The Emoji Movie. Here we take a look at what to expect from one of the most hotly anticipated video slots of summer 2017. Looks impressive, right? First thing you’ll probably notice is that this game looks a little different from your averages slot. It in fact has 5 Reels and 6 Rows, and it uses the Avalanche Feature that will be familiar to fans of NetEnt’s classic, Gonzo’s Quest. But that’s not all, it is also a Cluster Pays slot – using the format that makes Aloha! such fun to play. Basically, the symbols fall into place, and if a ‘cluster’ of five or more is formed, the game pays out. Then the cluster explodes and more symbols fall in to replace them. This can lead to many consecutive wins. What else can we expect from Emoji Planet? Well, there are eight different emoji symbols – two hearts, bombs, pizzas, kiss marks, rockets, poo! and aliens. There are Sticky Wilds, 3×3 Overlay Symbols that randomly appear, Stacked Wilds, A Bomb Feature in which symbols are randomly destroyed and a cash prize is revealed, and high wins in the base game of 5000x your stake if the emojis fall kindly for you. 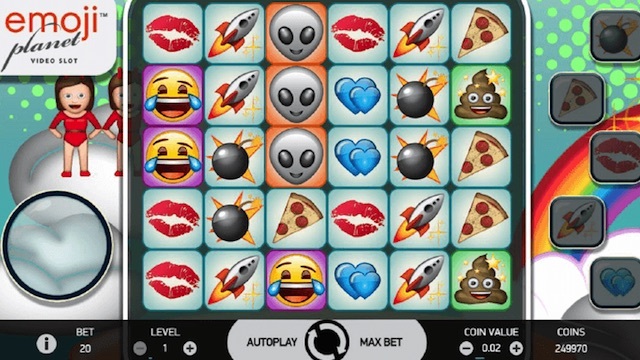 There are also five different Emoji bonus rounds, each triggered by filling a relevant Emoji meter. All in, we’re expecting something pretty special when the Live date for EmojiPlanet™ slot finally arrives. 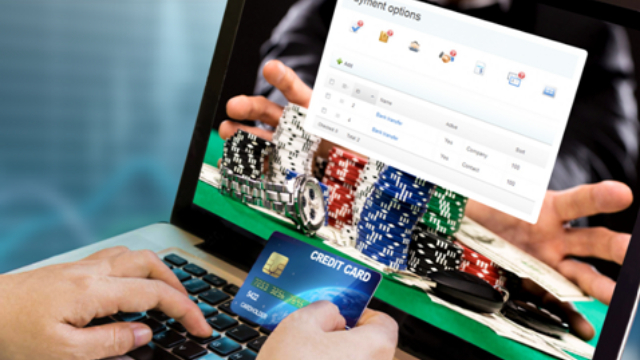 The avalanche and cluster pays format has been done before, but it’s rarer than the classic 5 reel and fixed payline slot format that forms the basis for the majority of online slots games. By the looks of this video, we think EmojiPlanet™ will be one of those games that is very hard to put down. And more than that, the design looks fun. Love ‘em or hate ‘em, Emojis are going to be everywhere this summer – especially when the film arrives. And their funny little faces may well be staring back at you from mobile phone for a different reason from August. In short, it looks like NetEnt are about to deliver another great slot that will be perfect for passing the time whilst soaking up some sun on the beach this year. And probably for a long time after! Finally, here’s another taster. It’s the EmojiPlanet™ slot trailer! Yes, they do really make trailers for slots these days. Have fun! Where Can I Play NetEnt Slots Games? 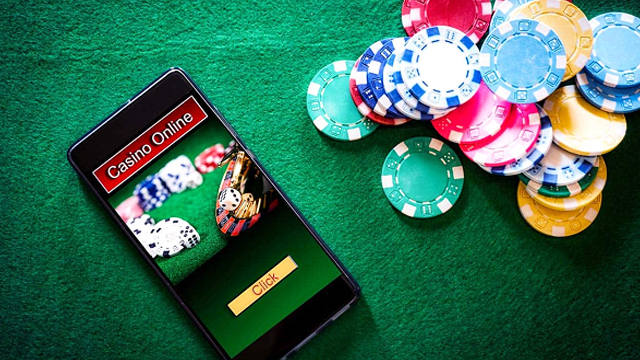 If you can’t wait til August to get stuck into a new NetEnt slot release, why not play one of their live games at one of our recommended casinos. 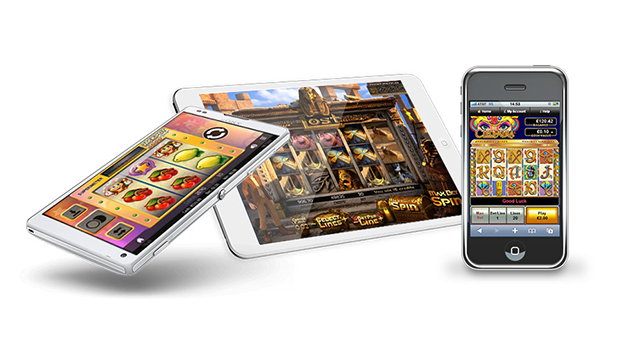 Looking for more new casinos and slots sites? Check our listings for the best new offers.